« Shrekalicious on My Nails?! Off to New York, New York! With crazy weekdays, we decided to splurge and pampler ourselves on a nicer dinner last Monday. Off we went to New York New York, located at Kovan Heartland Mall. 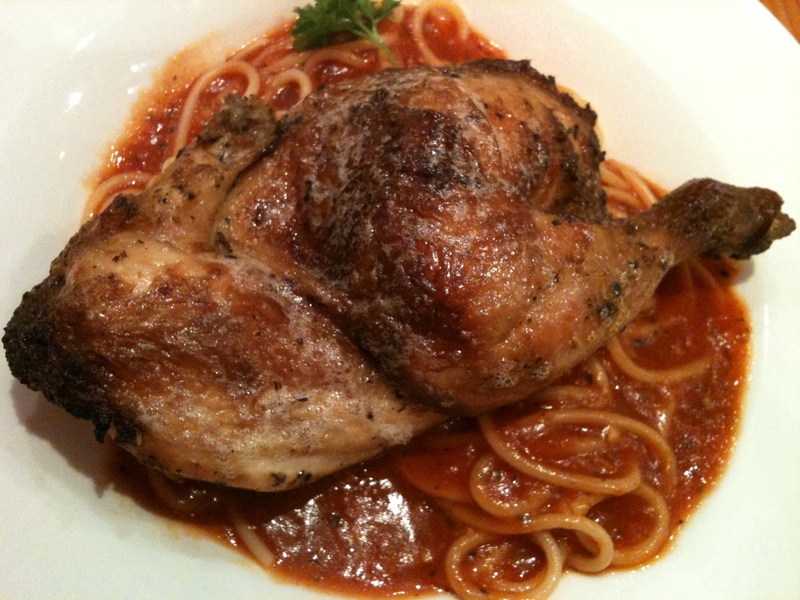 Tucked away from the busy shopping crowd, we had some quiet dinner time whilst satisfying my crave for Western food. Been regularly dousing myself with too much hawker food. Bleah. 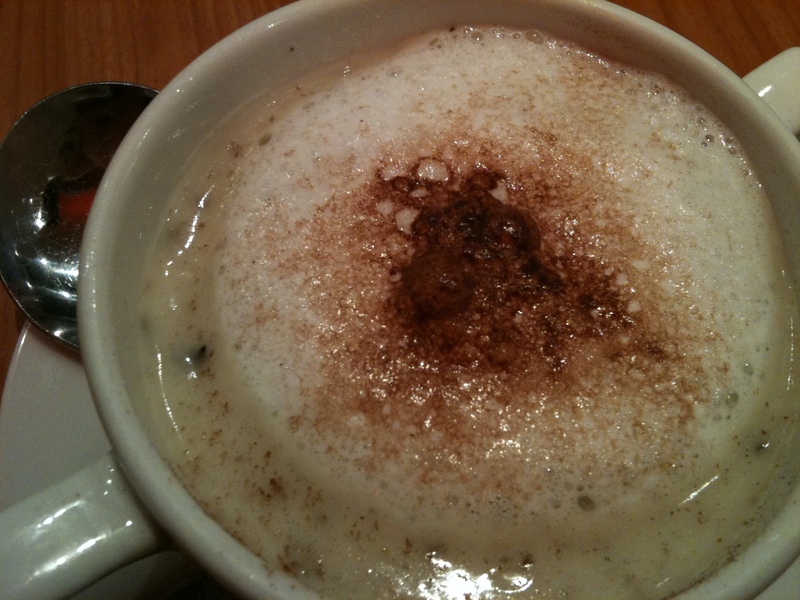 Mushroom Cappucino Soup to kickstart the meal! Nice flavour and aroma. Bits of mushrooms detected. Light and easy to drink, not too creamy. Great for those wanting to order a spread of foods. 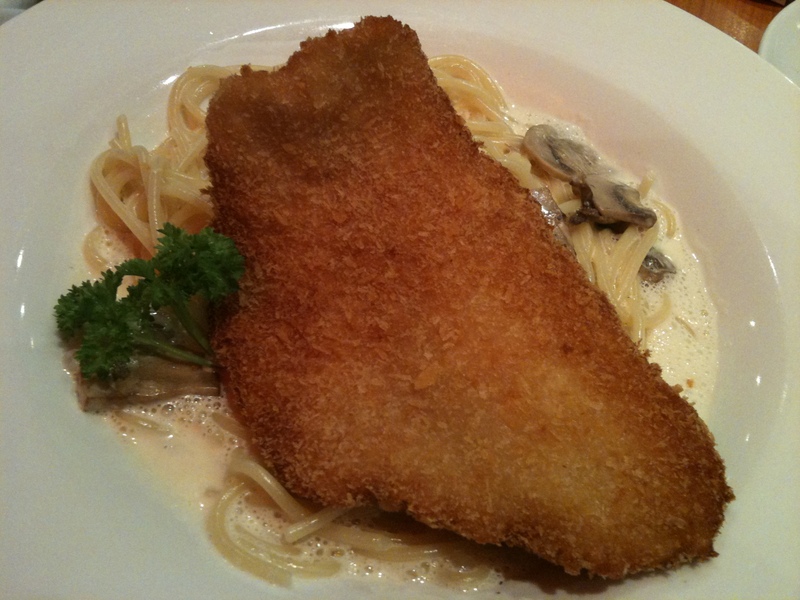 Hub had Fried Fish with Creamy Mushroom Spaghetti. He's a creamy pasta convert. LOL!